A golden opportunity awaits. Experience tailored coaching, skill development, and invaluable advice to help your live music business flourish. 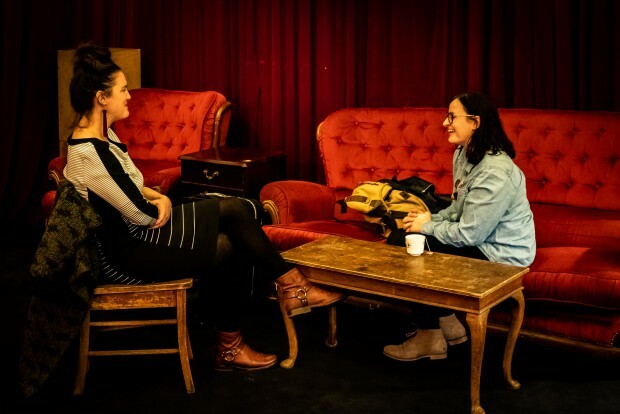 Music Victoria has announced the return of Live Music Professionals (LMP) 2019, a development program that helps band-bookers, venue managers and independent live music promoters. Since the launch of the program in 2017, 85 per cent of participants in the Live Music Professionals program has encountered new business opportunities, increases in ticket sales, refined marketing skills, and a larger support network as a direct outcome of the program. Participants will have the privilege of being coached by some of the biggest names surrounding live music in Australia. Last year’s mentors included the owner of Brian Taranto, owner of Love Police, Boogie, and Out on the Weekend, Ashlea O’Loughlin from social media agency Social Season, Ben Thompson, the venue booker at 170 Russell, and a whole lot more. We chatted with Carly Aldred, director of Grampian’s Music Festival who was a participant last year, to get some more deets on the program. Hey Carly – first up, tell us a little bit about yourself – what do you do and what made you interested in the program? The reason I was interested in the program was because I’m the festival director of the Grampian’s Music Festival, and I was really interested in up-skilling. So, learning more largely around things like marketing opportunities, but I also wanted to look at creating a great framework of policies that are integral to the festival. That was the main thing I found interesting about the program. What kind of results have you experienced thanks to the LMP program? I’d say it’s more about being able to firm up the shape and direction of the business. We had some fundamental policies we wanted to implement around respect and safe space, and also around an environment and sustainability program, and our gender diversity program. With the structure, guidelines, and directions I gained from the program, I was able to take those concepts and put them into a written format that’s now part of the essential guidelines for the festival. For those interested, what are the logistics? How much does it cost, how long does it go for, etc.? We’re really lucky that the program is actually free! It’s a State Government initiative, run by Music Victoria, which is phenomenal. It focuses largely on people in regional Victoria which is a great because it can be very difficult for those of us working outside the metro area to even network and share things. So not to have a fee imposed is pretty amazing. About commitment, last year we had a meeting with the coordinator of the program to set your goals and targets, which you have a number of months to work towards and achieve. On top of that, you attend two different conferences. So we had the awesome opportunity of attending Changes for its first year in Melbourne, and also having the LMP conference in Ballarat over a couple of days. There’s work-at-your-own-pace stuff, and times when you get together. The big advantage of the getting-together days is being able to build your own network. I’ve now got people I can call on and ask questions who do similar things to me and deal with similar challenges. I’m still working closely with one of my coaches – we’re actually doing business together! When you’re used to working in a much more isolated space it feels a lot richer when you’ve got people to share with. What was the most valuable piece of advice you received from the program? Ooh that’s a good question! I got really great insight from Louis from Oztix. He was doing a presentation for us, talking about ticket sales and trends. It’s very, very easy when you’re running a ticketed event to want to see a spike in ticket sales, and it’s quite nerve-wracking, to be honest, just watching how that happens. But he was sharing how the actual purchasing trends work: how you may experience a plateau or a lull, but it all follows a trend. Getting that info was a good way to moderate stress levels! It gives you a sense of comfort when you’re watching the sale of your own event. Thanks for chatting with us! Is there anything you’d like to add? Look the only thing I’d add is – on paper, it still sounds like a great opportunity anyway, but it’s not until you get in and actually experience it, and share the passion of your peers, that you really find out why it’s worthwhile. I would strongly recommend it. I’m also hoping our programming manager for our music festival applies this year because I think you get so much out of it. Applications are open from until 13 May – locals all around Victoria are encouraged to apply!